Kissin' the Cook Giveaway Hop! Each member will be giving away some awesome kitchen gadgets, appliances and food. Just follow the linky below to enter them all! We are also honored to have 2 fantastic GRAND PRIZES. This great brewer uses Kcups, soft pods, tea bags and ground Coffee. Just follow the instructions in the rafflecopter to go enter for these Fantastic Grand Prizes! 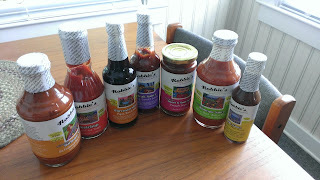 I was given the opportunity to review Robbie's All Natural & Guilt Free Sauces. All of their sauces are ALL NATURAL - LOW SODIUM - FAT FREE and GLUTEN FREE! We love sauces! So I wanted to make a sauce a post! Yep..I will be posting each sauce. Today, I am featuring their Worcestershire Sauce. 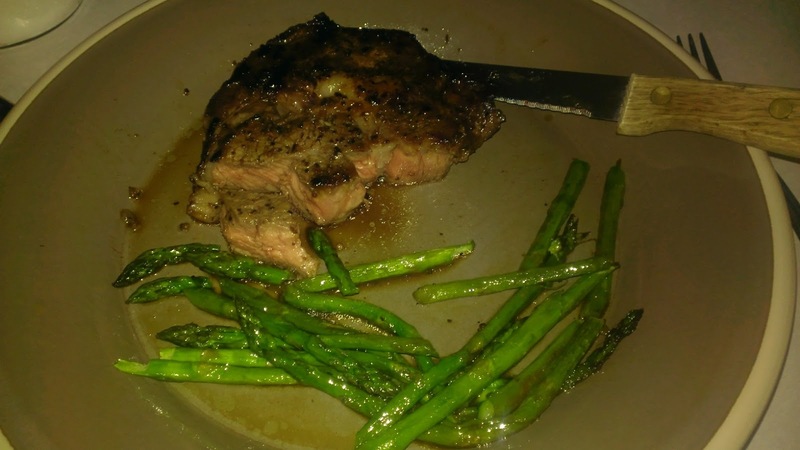 Gene makes delicious steaks. 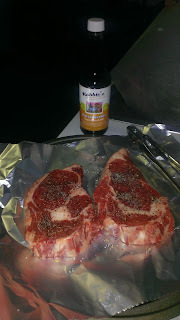 Last night he used salt & pepper and topped each steak with Robbie's Worcestershire Sauce when he placed the steaks on the grill! What makes Robbie's Worcestershire Sauce so tasty? Their sauce is made with only natural ingredients ...... Water, Apple Cider Vinegar, Blackstrap Molasses, White Grape Concentrate, Tapioca Starch, Hydrolyzed Soy Protein, Organic Caramel Color, Garlic Powder, Salt, Onion Powder, Spices, Sugar, Yeast Extract and Natural Flavors. For over 40 years Robbie's has been dedicated to providing healthy and delicious sauce alternatives to health conscious individuals focusing on special dietary needs. Sale & Pepper steaks - place on hot grill - top with Robbie's Worcestershire Sauce! Cook till your doneness liking. Enter to WIN Robbie's Sauces! 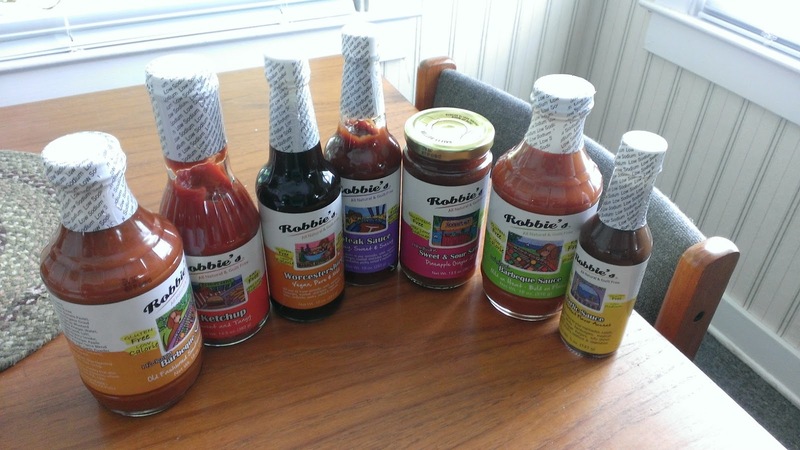 One lucky winner will receive a Robbie's Sauce Gift Pack! I want to try the BBQ sauce. I prefer garlic sauce on top of meat. I'd love to try the garlic sauce. Mmmm....I want to try their garlic sauce first....yum. I would like to try the Garlic Sauce! Thanks so much for the fantastic giveaway! The steak sauce looks awesome! I would like to try the Sweet and Sour Sauce. I would love to try the tamari sauce. I want to try the steak sauce. I'd most like to try the Steak Sauce. The steak sauce would be the pick for me. I'd like to try the steak sauce. I'd like to try the sweet and sour sauce. I want to try the ketchup most. I like to try the sweet and sour sauce. I would like to try the BBQ Sauce. sweet and sour sauce for my shrimp over rice. I would love to try the Garlic Sauce. I want to try the garlic sauce! The garlic sauce :)) yummy! I would like to try the garlic sauce. I'd like to try the steak sauce and the ketchup. I'd love to try the ketchup. I'd like to try the Barbeque Sauce. I would love to try the steak sauce! I want to try the steak sauce!